The Studio Range by Barrier Group showcases a select range of products that have been designed specifically for the high end architectural market are manufactured in Australia to demanding standards. 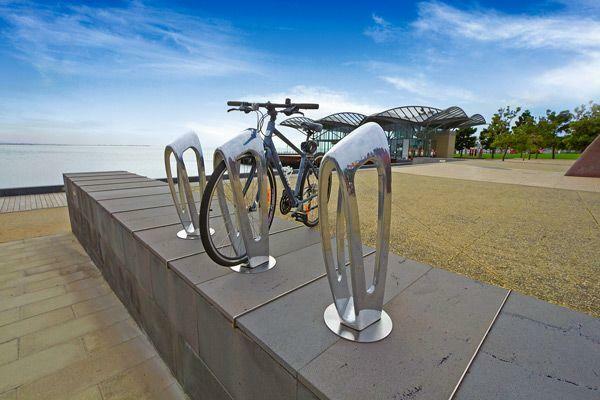 In a busy city Zephyr is a stunning short or long term bicycle storage solution. Incorporate it into a cutting edge architectural setting and it becomes a sculptured bollard, a classic design element. In the town square or park, it is a gathering point, a place to stop, to chat, to bide a while with friends. Or then again, is it simply a beautiful piece of public sculpture, one that invites you to run your hands over its sumptuous metallic form, its smooth and generous curves? 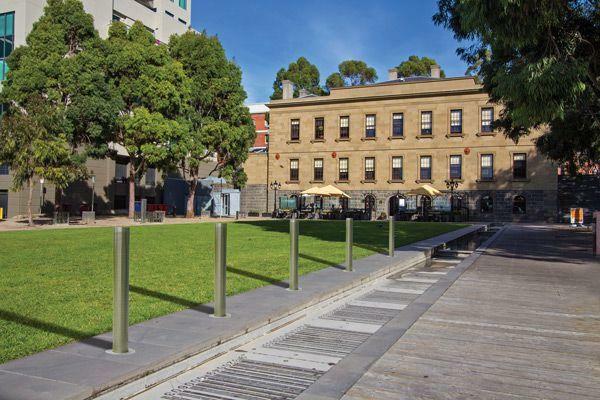 Traditionally we think of bollards as purely utilitarian products to control pedestrian and vehicular traffic movement, or to offer a protective barrier. While our range of high end stainless steel bollards satisfy these basic needs they go much further. Beautifully crafted from 316 marine grade stainless steel with precision machined 10mm thick caps, our bollards will enhance any structural or landscape architecture. They are in themselves a stunning design element. Crafted from 316 marine grade stainless steel ensures that our premium stainless steel bollards will retain the high quality finish for many years after installation. They are available in a range of sizes in both below ground and surface mount designs. Optional spun skirts are also available for the surface mount models if required. Airports, theatres, sporting venues, in fact anywhere that people have to queue, there is a need for a better queue management system. Neata Airport has been developed in response to the enormous growth in global travel and the need for both operational flexibility and safety for the traveling public. Our unique In-floor Flexi design achieves both of these. In a world first, if impacted, the posts have the ability to flex up to 10 degrees and return to their original position. As a major safety and security feature, the In-floor posts are locked in place to reduce the risk of unauthorised people removing them to use as weapons. The additional space provided by the small footprint improves access for wheelchairs and strollers while making it easier for cleaners. 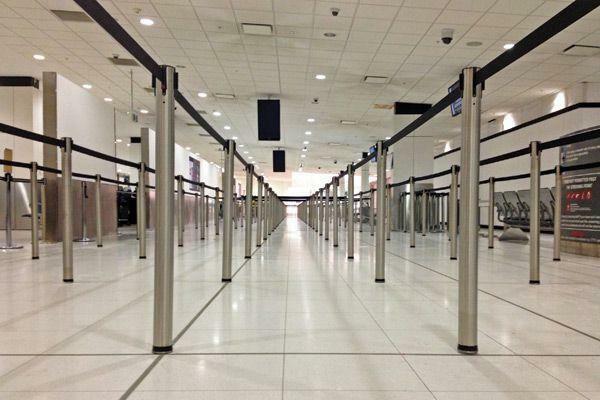 The Neata Airport queue management system is manufactured from marine grade 316 stainless steel for maximum durability and life. It can be configured using retracting belt, rope, rail or plain post designs with a range of accessories including sign and brochure holders. 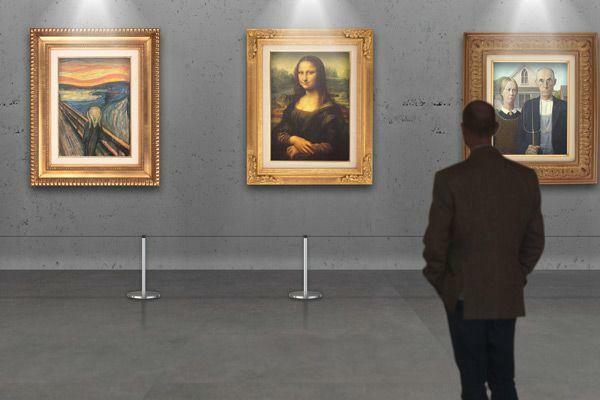 Galleries, museums, showrooms and exhibitions all share a common need to separate the viewing public from that which is on view. By nature of the displays these are normally discreet and reflective environments, where it is the collections which are on display not the barrier systems separating them from the public. Gallery barriers are deliberately discreet while being manufactured to a very high standard befitting such spaces. Choices of post heights, mounting systems and accessories ensures Neata Gallery can be configured to meet any requirement. Discrete polished 316 marine grade stainless steel posts with the options of being free standing, surface mounted or used with in-floor sockets are connected together with a 5mm elasticated cord. The elasticated cord means there are no saggy belts or ropes like many systems. Just a fine 5mm line that remains straight and discreet and does not detract from the display. Have you got your free Studio Range brochure? Do you have a project coming up? Contact us to get your free brochure and discuss how we can work with you from the design and specification stages of your project through to installation and commissioning. Get my FREE Studio Range Brochure!